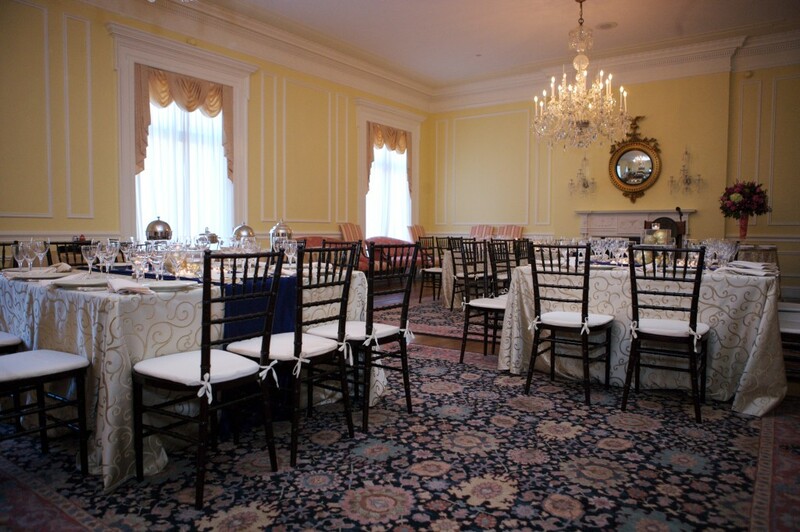 This elegant and stately reception room features a large marble foyer entry and is suitable for standing receptions for up to 125, or seated dinners for up to 80 guests. 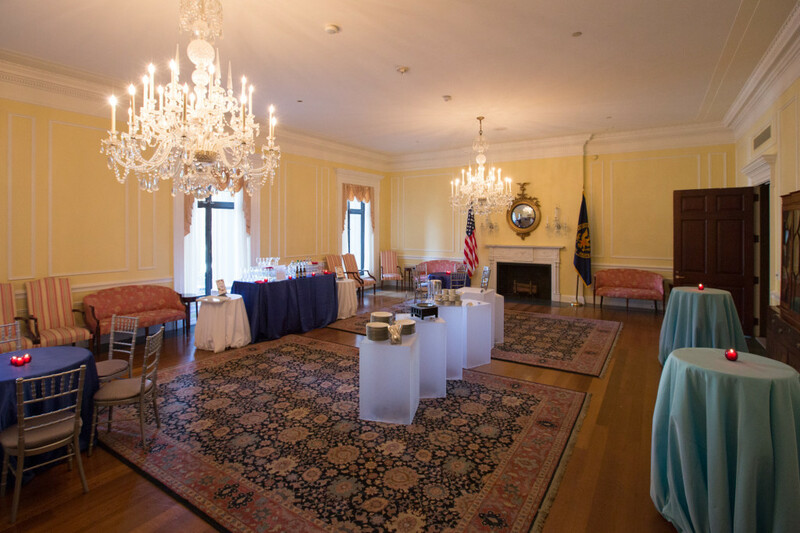 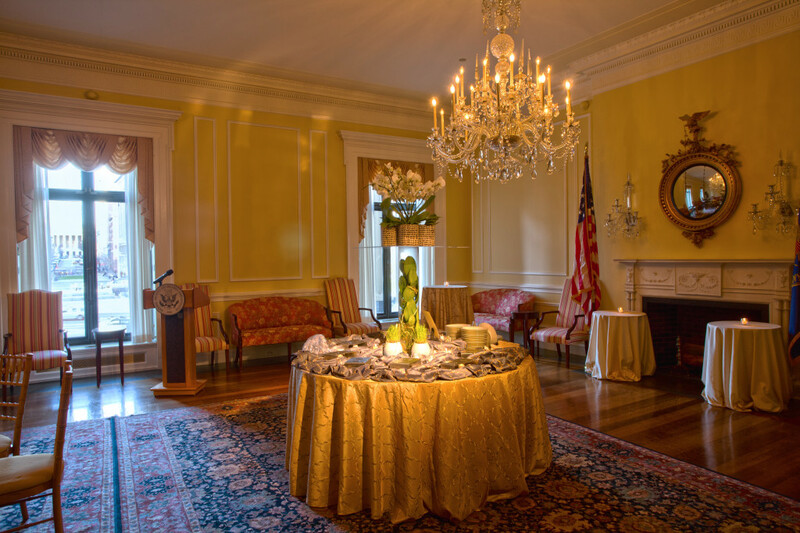 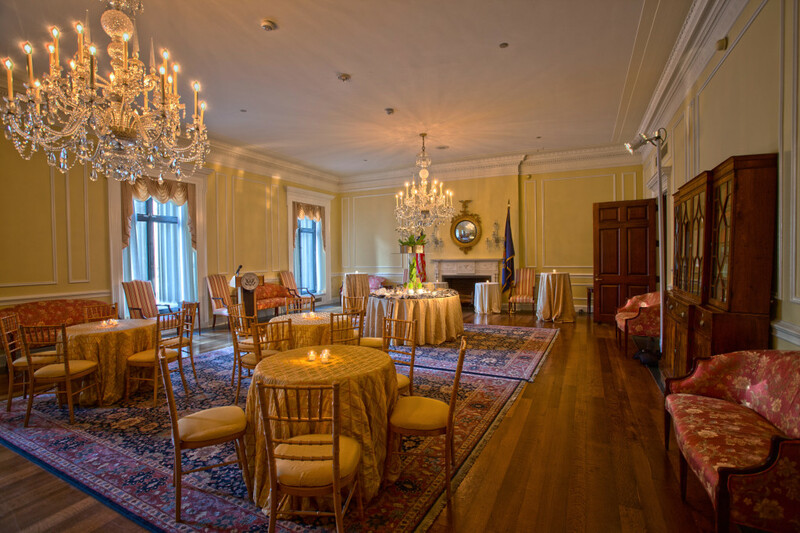 The Archivist’s Reception Room is furnished with elegant settees, antiques, and two grand chandeliers. 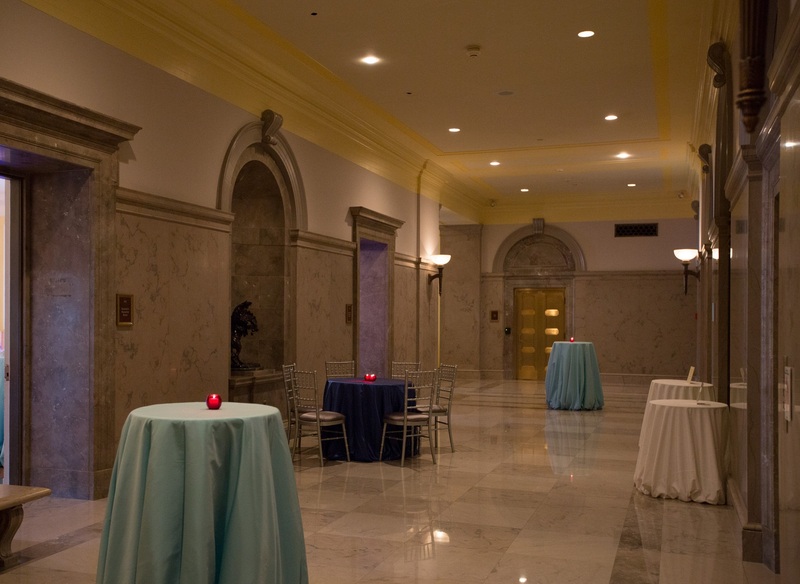 Three large windows provide a picturesque view of the historic Pennsylvania Avenue, the United States Navy Memorial, and the National Portrait Gallery.